We are a group of Chinese freelance writers, journalists and friends of Chinese people living in different parts of the world. We wish to respond to the open letter that was signed by 49 German scholars relating to the Deutsche Welle incident. 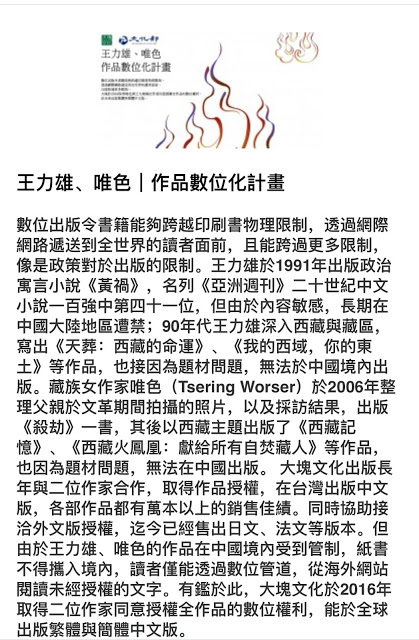 On October 9, 49 individuals, most of them German sinologists but also including some political figures, writers and journalists, published an open letter to Deutsche Welle and to the German Bundestag, defending the objectivity of the news media and the rights of an unfairly treated individual, Zhang Danhong. The letter included the following main points: 1) defending the freedom of expression and rights of the Deutsche Welle journalist Zhang Danhong; 2) censuring the "Federal Republic Writers' Association" and Chinese dissidents for a previous open letter that had supposedly demanded a background investigation into certain Deutsche Welle employees, on the basis that this violated the principle of press freedom, and referring to the Chinese dissidents who wrote the letter as "Falun Gong practitioners"; 3) alleging that the objective of the open letter was to prevent normal exchanges between the outside world and China, and impartial reporting about China. Many of the signatories of the open letter are middle-aged individuals who experienced the 1968 student movements in Europe; now the backbone of European society, they inevitably tend toward "political correctness." Their open letter violated a basic principle of the news media and academia: speak truth to power. 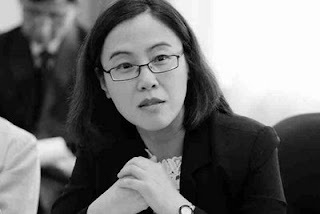 Zhang Danhong had the good fortune to engage in journalistic work in a free country, but she violated her own conscience and professional ethics by becoming a spokesperson for the autocratic regime that suppressed, shut out and even imprisoned members of her own journalistic profession. Zhang Danhong could not but have known that before the Beijing Olympics, many Chinese journalists and writers had been censored, placed under house arrest, removed from their cities of residence or even imprisoned, yet she continued to ingratiate herself to the totalitarian regime in an open forum with such words: “The Chinese Communist Party has contributed more than any other political force to the implementation of Article 3 of the Universal Declaration of Human Rights.” This was not only blaspheming to the jounalistic profession, but to cover up the true situation in the society for the authoritarian regime, it is a serious error, and it was completely understandable that others should request an investigation into her background. This is a completely different matter from violating "press freedom." 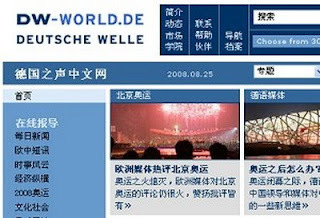 Deutsche Welle was in fact as lenient as it could be toward Zhang in the handling of this matter. The open letter by the 49 scholars posed questions regarding how to treat China's development and rise, and demanded that the German news media report impartially on China. This specious statement sidesteps the real issue. What constitutes impartiality? Is it only reporting positive and not negative news about China, as the Chinese media are required to do? Can it be that the German media's "muck-raking" reports about China are simply biased? We can pose a corresponding question: how should others have reported impartially on the rise of Germany, Japan and the Soviet Union several decades ago? Please think back on Germany's history: If after World War II Germany had not undergone entnazifizieren, or denazification, if the perpetrators of war crimes had not been obliged to undergo the Nuremberg Trials, if Willy Brandt had not knelt in mourning and repentance before the memorial to the Jews murdered in the Warsaw Ghetto, then the German people would never have recovered from the spiritual damage caused by Nazism, and their post-war economic resurgence could never have been accepted by the rest of the world. Indeed, was not the 1968 student movement demanding this very "historical truth"? Please look back at the estimated 20 to 30 million innocent victims of violence and humiliation in the course of China's Land Reform, Anti-Rightist Campaign, Great Famine, Cultural Revolution and educated youth sending down to the countryside. Up to the present day, the Chinese government has not allowed any investigation into these crimes, nor has it uttered a word of apology. Since economic reform began in the 1980s, whenever there has been any social unrest, the government's response has been to suppress it through police and military action. From the 1983 "strike hard” anti-crime crackdown to the 1989 Tiananmen democracy movement to the 2006 Taishi Village incident, the Chinese government has set itself in opposition to the Chinese people. China's current image of economic prosperity is built to a great extent on the toil of an immense body of impoverished migrant laborers without basic employment protections or health benefits. The Chinese government has taken over the role previously held by the landlords and capitalists as the harsh and merciless exploiter and plunderer of the people's assets and labor. Yes, today's China is much more "free" than in the Mao Zedong era; back then, sullying a newspaper bearing the image of Chairman Mao was punishable by death. Today the majority of people live in greater prosperity than before, but social injustice, official corruption and social unrest have increased at a breath-taking rate. People have been compelled to rise up in defense of their own rights. The blind lawyer Chen Guangcheng, the rights defense lawyers Guo Feixiong and Gao Zhisheng, the writer Du Daobin, the journalist Shi Tao, the AIDS activist Hu Jia -- they have all stood on the side of the common people, but the government has sent them all to prison. Respected scholars, you who live in a country that maintains the values of liberty, when presented with a choice between the powerful persecutors and the powerless victims, why do you choose to stand on the side of the powerful? Why do you choose to defend the rights of Zhang Danhong, who faces only the dismissal from her deputy leader position in Deutsche Welle, when you have never spoken up for the rights of the heavily sentenced Chen Guangcheng or Shi Tao? Gazing aloofly at the Chinese people who have been deprived of their basic rights, have you ever spoken in defense of them because of their ill treatment? Are you any different than the French eminent writer Roman Roland who in the 1930s chose to criticize the democratic government of his own country, but hid the darkness of the former Soviet Union? Are you any different than the majority writers of the German PEN Center (Deutschen PEN-Clubs) in the 1940s who confronted the critics of the international PEN, but kept their eyes closed to the human rights abuses of the Nazi regime? As sinologists, you have exhausted all effort to learn the Chinese language, and in the proess you have forgotten the German adjective used to describe the independent intellectual: "unbequem" -- causing discomfort or unease. The true intellectual will always stand in opposition to those in power, and an unconditionally totalitarian government should be subjected to even more monitoring and restraint, with intellectuals causing all the more unease to the holders of power. We deeply regret that you 49 signatories have not followed in the profound German literary tradition, and have not benefited from the indirect influence of the loftiest ideals of Chinese culture. Your open letter has encouraged the propaganda machine of the Chinese dictatorship and provided it munition with which to attach the democracy in Germany as well as the Chinese dissidents, while leaving China's ordinary people and defenders of justice feeling disappointed, betrayed and humiliated. Jingsheng Liu, Freelance, Beijing 刘京生，自由职业，北京. whatever! as long as over 90% of our people live well, who care about you anti-china skums! Almost all reports in English stated the killer is a 23-yr old chinese man. 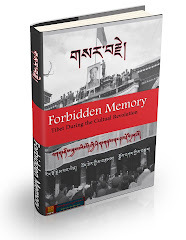 But the truth is, it's one of the 3000 exiled tibetans Switzerland took in. They are usually born in India or Nepal and refuse to take chinese citizenship. It's funny that, when Europe was screaming Free Tibet, they are peaceful tibetans. Now they killed somebody because the british victim "verbally abused" him, he all of sudden become chinese so that the mirage of "peaceful tibetans" created by Dalai Lamas will not be destroyed. Or Switzerland doesn't want to admit they are legally Swiss even they are living in Switzerland with swiss citizenship?